With “Respect for the Individual” as its fundamental belief, Honda has long been committed to spreading mobility throughout society while promoting traffic safety for every individual. 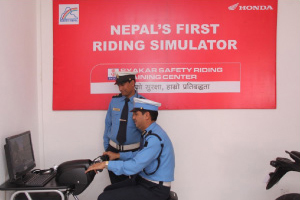 On a global basis, we sponsor real-life safety training that expands safe driving practices one person at a time. Always an industry leader in original initiatives, Honda began contributing to improving traffic safety in 1970 with the establishment of facilities in Japan for the promotion of safe driving. Having a firm grasp of international traffic conditions, we established Traffic Education Centers at 24 locations in 16 countries to train instructors and children in traffic safety. In Japan alone, safedriving practices are taught by specialists at eight Traffic Education Centers with a focus on cultivation safety group leaders in local businesses, organizations, and neighborhoods. Some training programs even use advanced technology to help drivers correct their own hazardous driving habits. Per day 2 hour class –half an hour theory & one and half hour practical. 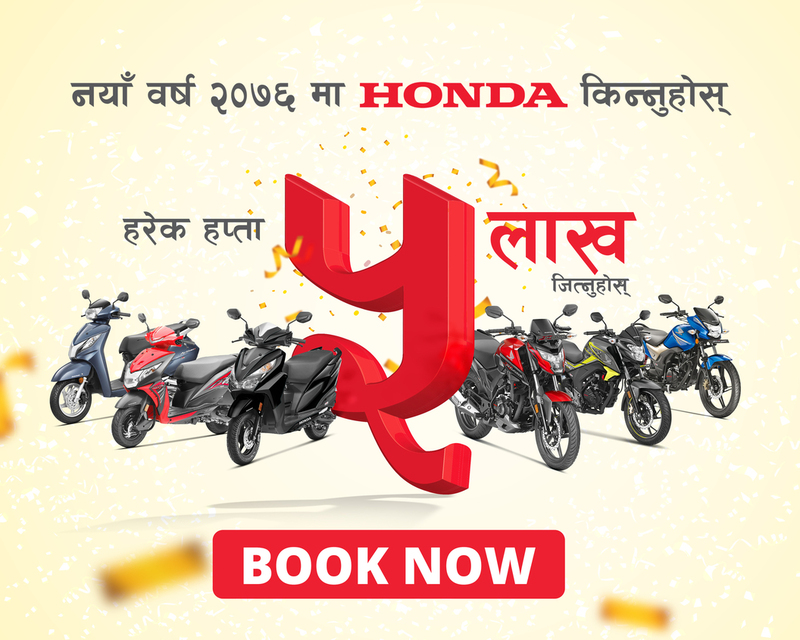 in the purchase of Honda’s scooter/bike within 3 months at authorized Honda showroom only (transferable). Those who cannot ride cycle they can join our preliminary course. First we teach about how to ride a cycle and then we teach how to ride bike /scooter. Per day 2 hour class – half an hour theory & one and half hour practical. Those who can ride cycle can join our beginners course. 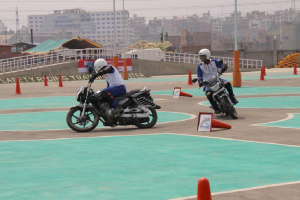 Those who have licence but cannot ride bike /scooter properly/perfectly, can join our defensive course. If six of you come in a group, one will get free training course starting from Baisakh to Ashwin. If 6 people or more come in a group as a staff from a corporate or government company then 25% discount will be available in their course fee. International standard well trained instructors Lady instructor for ladies. 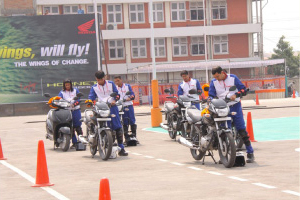 Specially focused on safety riding course and new licence trail pattern.